This entry was posted in Uncategorized and tagged chick-lit, contemporary romance, family, famous, love, movie star, new book, new release, wedding by rachelschurig. Bookmark the permalink. Just finished reading Lovestruck Forever, love, love LOVE, this book, great read. Hey racheal huge fan of your books excpessially love struck your characters are amazingly realistic and so down to earth keep up the good work Hon. But I really want to know where the ginny Annie and Jen are hiding. Okay so I love your books! You are a new author to me–I stumbled upon Lovestruck in London…inhaled it–and then immediately got Lovestruck in Los Angeles and Lovestruck Forever…been reading them non stop all weekend! Cannot wait to see what else you have in store for Thomas and Lizzie…and now I get to start reading your other stories as well! I loved your books. Read this series in 2 days and plan on reading all of your others as well. The characters are so wonderful and I can’t help rooting for them and can’t wait for the next story!!! It’s 1.15am here in Scotland and I just read the last page of Lovestruck in London. I had to read into the wee small hours – so drawn into Lizzie and Thomas’ story. I’ll be getting the next two (and however many more will follow!). Wow, I’m really rooting for them! Great writing, loved it! I’m sorry I caused you to lose some sleep but I’m sooo glad you enjoyed the book! I hope you like the rest of the series. And I’m jealous–I loved Scotland so much when I came over to research the book! I wish I would have been able to see more of your country. Thanks, Emma! I came across Lovestruck in London and was instantly hooked. I read all three books back to back in a week! I’m a little sad now that I’ve finished the book because I loved Thomas and Lizzie’s story. Thank you for writing a beautiful story…I am now a new fan. But after reading Lovestruck in London, I bought the next two instantly, and finished the entire series in less than a week!!!! Now I am dying because I want more!!!! Anyways, great story!! Really brought the characters to life!! Looking forward to more of Lizzie and Thomas!! Curious about her book deal, and what adventures the two will be dealing with while struggling w/ careers that take them all over the world! I LOVE reading free books too! I always have at least one book offered for free as a thank you to my readers 🙂 I’m so happy you found Lizzie and Thomas and you enjoyed their story so far. There will definitely be more to come! Found your book by chance…within a week i had bought them all and have actually started to re-read them so I can experience it again. Absolutely love the love struck series and can’t wait to find out more about Lizzie and Thomas! Not sure I can wait for the next one to come out!!! Any date release yet??? Thank you for creating a series that people can envision themselves in! Hi, Stacy! Two more Lovestruck stories came out today! There are links for Sofie and the Movie Star and Lovestruck at Christmas on the front page. I’m so happy you like the series! I love the Lovestruck series. When will books 3 and 4 be available on google play? I am working to get the new Lovestruck stories up on Google next week. I’ll post links as soon as they’re live. I’m glad you’ve enjoyed the Lovestruck books! Hello Rachel! Absolutely loved the first two of the Lovestruck series! I’m sorry you had to wait, Lucelia. I’m hoping to have Lovestruck Forever on Google next week. I’m glad you liked the first two! 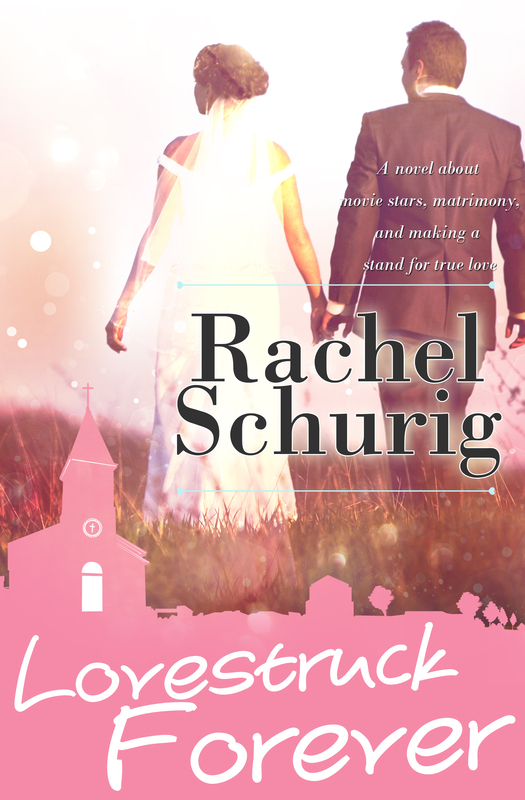 Hi Rachela, I have so enjoyed reading the first two Lovestruck books (both finished in a day – yes they were that good!). Any idea when Lovestruck Forever will be available on Google Play? Hi Rachel…any update on when lovestruck forever will be available on google play? I have just finished the 2nd book and am eager to start the 3rd! There will be, for sure 😉 So glad you like them!